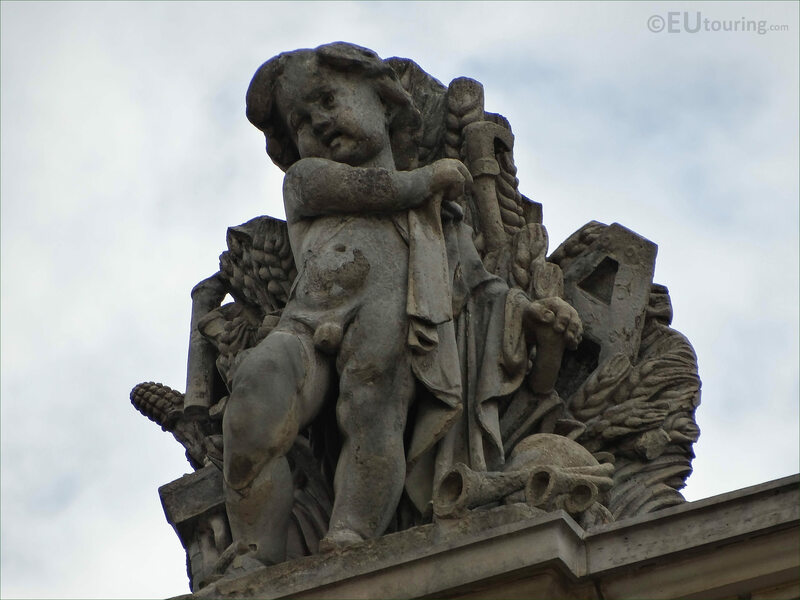 We were again at the Musee du Louvre in the 1st Arrondissement of Paris, when we took these high definition photos showing a statue called L’Ete, which was sculpted by Vital Gabriel Dubray. 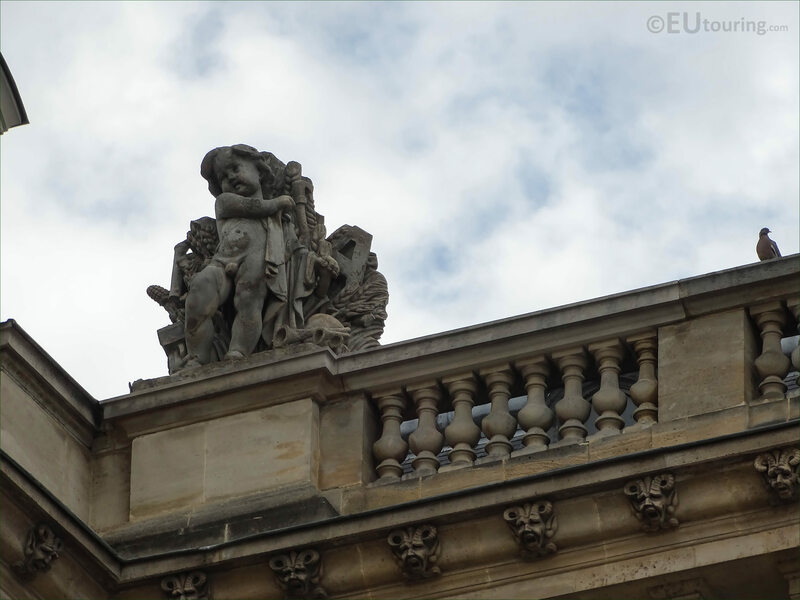 You will find that there are numerous different allegorical statues that were sculpted for the former Palais du Louvre, and this one called L'Ete, which in English translates to The Summer, was put in place on the Aile en retour Turgot back in 1857. 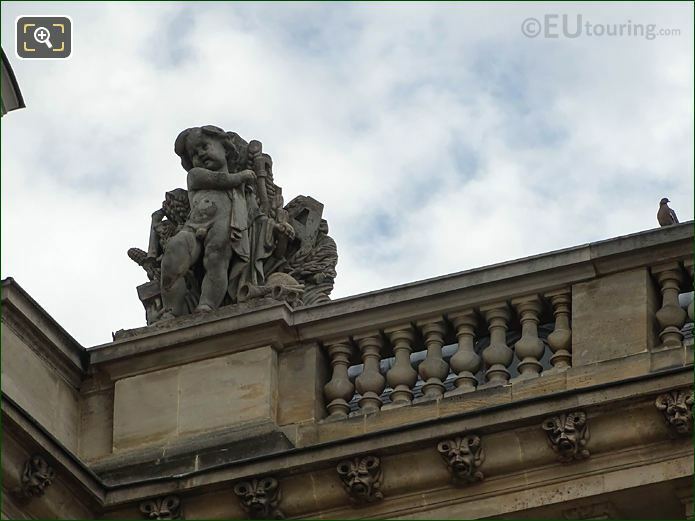 So as you can see in this photo, the statue of L'Ete is located on the third level balustrade of this wing in the far left hand side corner, and although it is classed as within the Cour Napoleon, you would actually have to be standing in the courtyard of the Louvre Museum called the Cour du Carrousel to see this facade. 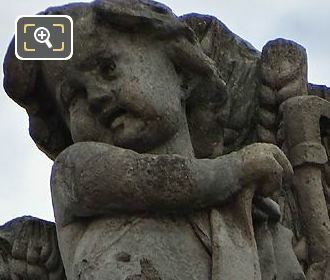 But this photograph shows a close up of The Summer allegorical statue, which was produced by Vital Gabriel Dubray who was born in Paris in 1813 and entered the Ecole des Beaux Arts studying under Jules Ramey to become a French sculptor. Vital Gabriel Dubray had a prolific career with numerous public commissions that included no less than five different statues for The Louvre, along with statues for churches like Saint Roch, however, probably his most famous monument is an equestrian statue of Napoleon I that can be found in Rouen.